What clients, past and present, in the private, professional and local sector have to say about Jamie Clubb and the Clubb Chimera Martial Arts approach to self protection. The Solicitors Regulation Authority (SRA) is responsible for the regulation, in the public interest, of all solicitors in England and Wales. The Forensic Investigation Unit is responsible for investigating serious misconduct including theft, fraud and money laundering. The CCMA self defence course was a two day intensive training workshop, designed specifically for the professional and corporate sector. After discussions with me, Jamie Clubb outlined a workshop that focused on the exact needs of the staff in Forensic Investigation. The first day was concerned with soft skills – conflict management, general self protection attitude, situation awareness and assessing the demeanour of potential threats. This led the class up to the crisis point when all attacks can occur. The second day introduced the students to hard skills training. This day consisted of various physical activities designed to reveal to a student his or her natural technique selection in a real-life situation. They were able to then improve these natural techniques, learning how and when to apply them, before confirming them through a series of safe yet honest pressure tests. Training had a very individualized approach and all ranges of ability were taken into consideration without compromising the seriousness of the subject. I received very positive feedback from all of the attendees on the course, who all said that it would benefit them in their personal and professional lives. I would recommend this course to all organisations who have concerns about the health and safety of their staff in situations of potential conflict. This term has seen Jamie deliver a Self defense class for our school pupils on a weekly basis. Each week he has provided an exceptionally professional, interesting and challenging session for the class. Jamie is very aware that the pupils must understand the importance of self defense and he not only puts them through their paces but he ensures that they advance their knowledge in self protection and attack prevention. His awareness of his audience, tailoring each session to suit their needs and interest has made a real impact and his class has been over subscribed this term. Due to the demand for his classes to continue we will be continuing these sessions next year also, and look forward to being able to offer Jamie’s Self defense classes at school for many years to come. For those of you new to Vagabond Warriors I have to add that attending a mere two VW seminars last year totally transformed my approach, attitude and content of my training and that of the students I have under my guidance. For example, the VW framework helped me deal with the repercussions of a torn hamstring in November and, to cut to the conclusion, saw me switching from dabbling in Brazilian Jiu Jitsu to seriously studying Combat JuJitsu under Kevin O’Hagan, having applied some critical thinking to my goals. In terms of the Wing Chun club I co-instruct, gone are the jumping jacks etc. and functional, combative warm ups are in place, using exercises and ideas learnt first hand from Jamie and then devising others based on the VW criteria. The WC students love them, and the harder I push them, the bigger the smiles. Once they can breathe again. My fellow instructor has now mined his extensive repertoire of bodyweight functional exercise to balance my combat-focus with similar reactions from the students. 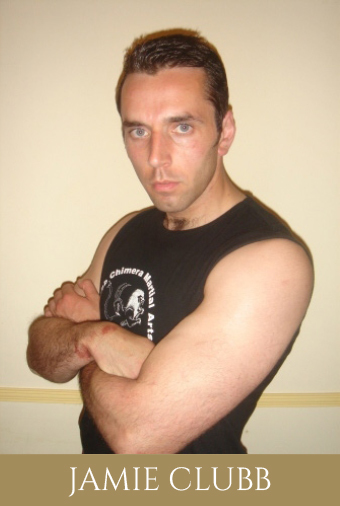 I have recently been re-reading some posts by Jamie Clubb of Clubb Chimera Martial Arts in the UK, and I must say that I am very impressed with Jamie’s approach to martial arts and self defense training. He is truly a critical thinker and accepts nothing at face value. He believes in research, the scientific approach, and unbiased analysis. Jamie has trained with some of the world’s leading personal combat specialists, and he has received remarkable accolades from men who are not easily impressed. Not content with merely teaching a set of physical techniques, Jamie seems to have a unique mission…he wants his students to experience the joy of discovery on their own. He presents them with skill sets not only to learn to fight and defend themselves but also how to research their own approach and learn to think. Jamie is truly a modern-day Renaissance man. 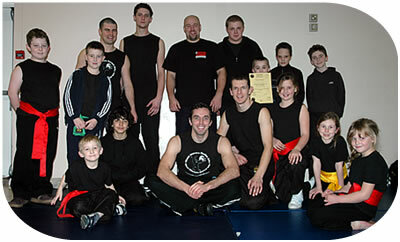 On Saturday 10 July 2010, Jamie Clubb of Clubb Chimera Martial Arts (CCMA) came to The Ho Yiu Fay Black Belt Academy, to teach a seminar on ‘Basic and Specific’ skills for self-protection. I would describe Jamie as a bespoke provider. What I mean is that prior to the seminar, he asked what I wanted rather than just provide a standardised format. I decided that I was not looking for a hard skills session for the students, but was rathermore, keen to focus them on the psychological mindset leading up to the crisis point of the attack. With that in mind Jamie certainly delivered and I was certainly impressed with how well-read and articulate he was. The seminar was tailored for Bristol (with interesting statistics), and his presentation was very clear and as a person, Jamie was extremely affable. I am glad to have made a friend in Jamie Clubb and definitely aim to bring him back in 2011. 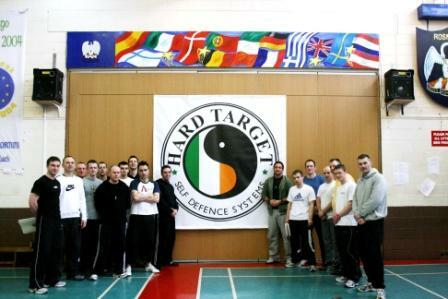 “I was delighted to bring over Jamie having first met him at a recent English training seminar with the legendary Geoff Thompson…it was immediately obvious to me that he (Jamie) was very much a realist when it came to combative training…Our seminar was well attended, which I think is a great achievement considering that it was Jamie’s first time to visit Ireland…He’s a very charismatic instructor with an amazing passion for teaching self defence”. Nick Guinn – Guinn Martial Arts, USA.